This book, consisting of 12 contributions, amalgamates the most recent results from archaeological research in the Upper Mesopotamian piedmont. Under the growing influence of expanding territorial states which had become established during the 2nd millennium BC, this region experienced a substantial change in social and political life during that time. The discussion is centered around settlement shapes, developments in the material culture, as well as written documents that attest to this change. 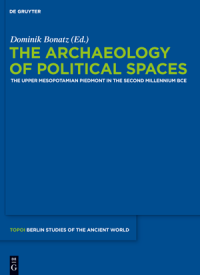 In summary, this book emphasizes the significant roll of archaeological research in the reconstruction of models concerning the formation and transformation of political space in the ancient world.